The Month in Stubs series lay pretty dormant throughout November and December, I just didn’t get to the cinema as much as I would have liked: don’t fret, I did manage to see Star Wars, twice. But while the US was spoiled rotten with prime Oscar bait, treated to the likes of Anomalisa, The Revenant, and The Hateful Eight us Brits were forced to do what we do best, nothing but sit around drinking tea chortling to ourselves. But the greatest thing about Oscar season is that the films are so good they are always worth the wait, excluding Anomalisa of course, we have to wait until MARCH! for that one, out-bloody-rageous I tell you. I’ve not quite seen all of the films tipped for the coveted Academy Award, (still missing The Big Short and The Danish Girl amongst a few others) but read on to see what I thought of the ones I have managed to catch in the month of January. Quentin Tarantino’s eighth film was a special experience for me. Disregarding the obligatory hype that comes with a new QT title these days it was special for a different reason. I caught it in 70mm at the Special Roadshow Engagement at the Odeon, Leicester Square. A fact made even more special as this was the first Roadshow Engagement since England won the World Cup in 1966. That should resonate with the English readers as both interesting and depressing but fear not, you’ll find no such emotional burdens in QTs latest Western venture. A glorious * * * * Must-see. The divisive Joy was my second cinema outing in January and, unlike The Hateful Eight where I had a pretty good idea what I was letting myself in for, Joy was a complete surprise. I knew it was about the lady who invented the miracle mop but who knew David O. Russell could be so exploitive of the genre’s nooks and crannies and the story’s metaphorical potential. Very much set to the beat of an everlasting soap opera Jennifer Lawrence as the eponymous Joy Mangano undergoes an intriguing arc from start to finish. Lawrence is by far the strongest performer and despite what others have said, Joy makes for ‘Quality, Value, Cinema’ (the best acronymic reference I could muster). A Brilliant * * * *. If I thought Joy was divisive I never pegged The Revenant as a divider. From Alejandro González Iñárritu, the guy that brought you Birdman, we’re taken to the harsh winter wilderness of 1820s Northern America. Much has been written about Leonardo DiCaprio’s chance of winning that all elusive Best Actor Oscar for his portrayal of Hugh ‘Mauled by Bear’ Glass: of which, I agree, his performance is fantastic. But it’s the sheer ambition, technical detail, and astute visual consistency that blew me away. It’s not your average revenge flick, it’s something special that demands a rejection of everything we understand about traditional cinema. A truly worthy * * * * * Must-see. I do have a couple of honourable mentions this time round that don’t quite fit the Month in Stubs criteria, of well, requiring an actual stub. This was an interesting one. Hosted by Little White Lies and MUBI I was fortunate enough to attend the screening of John Hughes’ swan song, Curly Sue. A cute little 80s picture that never quite lived up to the standard of The Breakfast Club or Ferris Bueller’s Day Off. There were load bursts of ironic laughter from a less than appreciative audience but while it’s not great the simplicity and shamelessness of its hackneyed approach was quite refreshing and actually rather enjoyable. With Dad’s Army on Tuesday night and Curly Sue on Wednesday I was already beginning to feel a little exhausted with the comedic variety, then comes the special fan screening of Deadpool. Due to embargo rules I am unable to publish my review until 10th February, but it’s good, damn good! I can’t until the world sees it! I hope you have enjoyed this installment of my Month in Stubs for JANUARY. Keep your eyes peeled for the February edition. Nice work man, you saw some really good movies. Thanks Vin, yeah January was crazy, three screenings in three days! January went really quick for me. I hope you get to see some of the other Oscar nominated films before the awards show. You have a cool site going on here. Yeah me too! I’ve been super keen to see The Big Short but just haven’t found the time but I definitely want to see it before awards night. Thanks for stopping by! 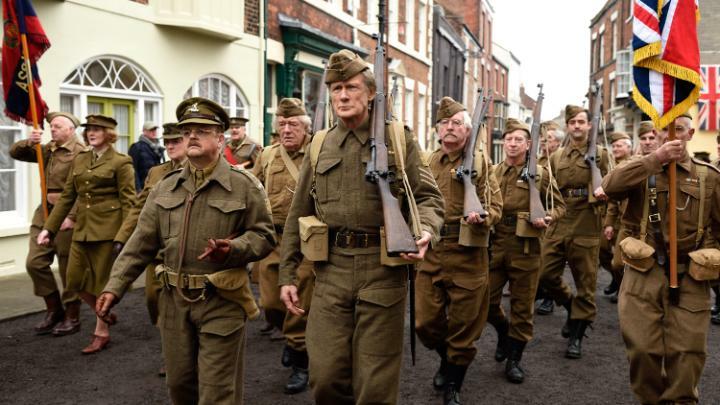 Dad’s Army got a right pasting. Glad you saw some good in it. Please pardon my extended absence around here James, the site upgrades (which were probably done 10 years ago ;) ) look fantastic and as always this feature is greatly insightful. Don’t sweat it, i’ve been fairly lax around here and elsewhere myself, it happens to the best of us eh, ha! Thanks, I worked hard to put it together and am still finding little bits a pieces that need ironing out. The time is almost upon the UK to marvel at Kaufman’s latest masterpiece, it’s frustrating to be left out of the loop like this, especially in an age where global distribution shouldn’t find many obstacles! Here’s expecting! How’s things your end pal?